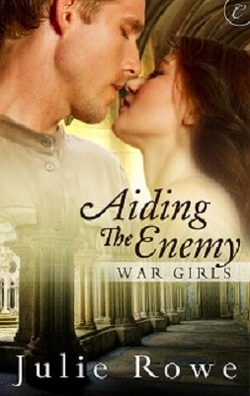 The 2014 novella category winner of the Colorado Romance Writer’s Award of Excellence! “Excuse me, sir, but this isn’t a good place to rest,” she said in German. Any other language was dangerous to use. “How did all of you get virtually the same wounds?” Dr. Geoff asked in his typical gruff manner. Someone who didn’t know him might assume he was angry, but his grumpy attitude was his way of dealing with what he called the stupidity of war. Especially if men deliberately hurt themselves so they’d be sent away from the front line. “My apologies, Doctor. There was a farmer at the back door requesting a midwife. I gave him her direction and sent him on his way.” How many times had she used that excuse or some variation thereof? Ten? Twenty?